Infatuation is defined as a foolish, unreasoning, or extravagant passion or attraction or an object of extravagant, short-lived passion. I couldn't think of a better word to express my mood in front of the color, the design, the equilibrium and symmetry of these insignificant purple flowers announcing the arrival of Spring. Cores fabulosas e apropriadas à Páscoa! Very nice flowers, I like the details and the colours. 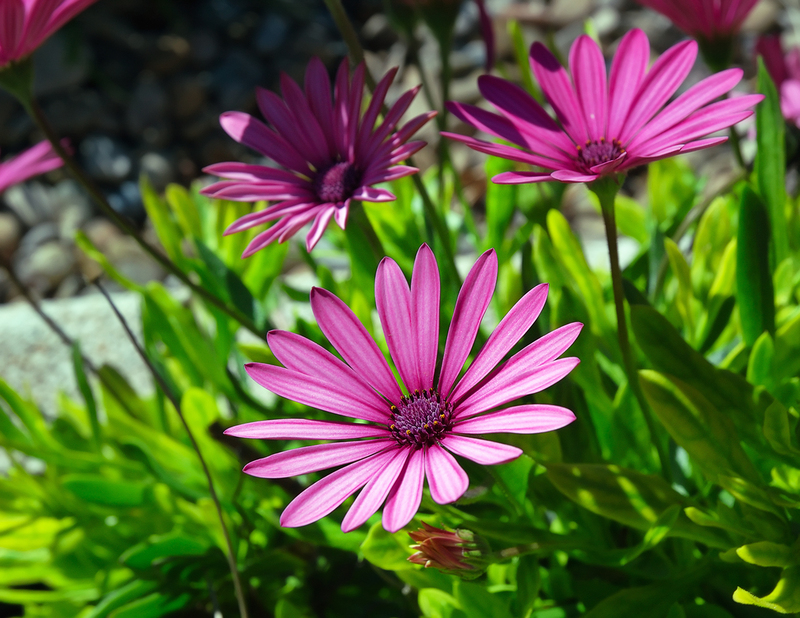 FYI, those flowers are called 'Osteospermum', or commonly 'Cape Daisies'. They're common to South Africa. -"Gracie mile caro" Quin. Moito obrigado. -Oh Heather this is the second time you help me with the name of flowers. You are really sweet. This is very kind of you. I used to work at both a florist and a garden centre - it comes in handy sometimes!